The security code is like a padlock or lock that protects our files, data and documents on iOS devices. So choosing a good security code is equivalent to the quality of the padlock that protects you . The security code to unlock an iOS device can be changed when you decide. It is advisable to update the password every so often. On the iPhone X and later enter Settings / FaceID and code. On previous models of a TouchID and code. On devices that do not have a Touch ID, go to Settings / Code. Enter a six-digit code. You can also choose a four-digit numeric code or a custom alphanumeric code. The more digits your code has, the more secure it becomes. But keep in mind that having a long code can make it difficult to type it when you are doing another activity at the same time. For example when driving. Enter the code again to confirm it. On the iPhone X and later, enter Settings / Face ID and code. In previous iPhone models, go to Settings / TouchID and Code. On devices that do not have TouchID, go to Settings / Code. Change Code: Enter a new six-digit code or choose to use a four-digit code, a custom code or an alphanumeric code. Request code: When the screen with the new setting is blocked you will be asked to enter the new code. You can configure you request the code with other options, you can choose. 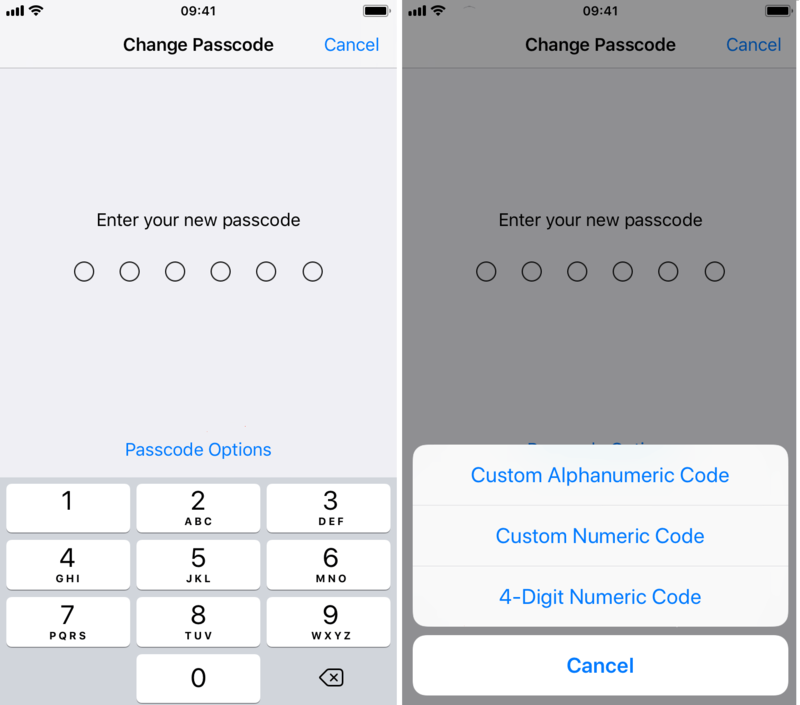 For security reasons if you use TouchID or Apple Pay you can not change the code option immediately. Allow access while you are blocked: I suggest for security not to allow. Because if you lose your phone, anyone can access Siri and request information such as What’s my name? And it tells you your name and phone number. Clear data: This option deletes all data from your iPhone after 10 unsuccessful security code attempts. If you do not activate this option, you must restore the device from iTunes.